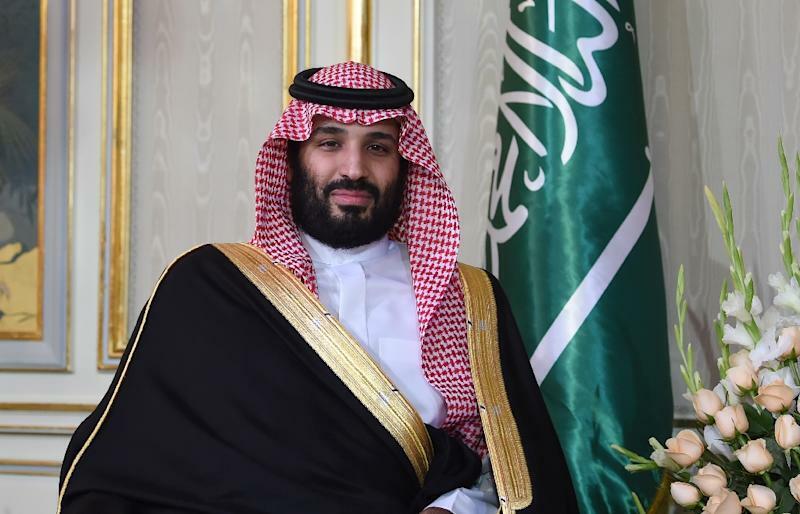 Algiers (AFP) - Saudi Crown Prince Mohammed bin Salman will arrive in Algiers on Sunday, Algerian state media said, for a visit that has been roundly criticised due to the killing of a dissident journalist. His two day visit comes as part of "the close brotherly relations between the two countries", Algeria's presidency said on Saturday, in a statement quoted by the official APS news agency. The trip is meant to give "new impetus to biliteral cooperation (and) the realisation of partnerships and investment projects", the statement said. The crown prince set off last week on his first foreign tour since the grisly murder of Washington Post columnist Jamal Khashoggi in Saudi Arabia's Istanbul consulate on October 2. Khashoggi's killing has put mounting pressure on Riyadh and Prince Mohammed, who Turkish officials -- and reportedly the CIA -- have concluded was behind the critic's death. Saudi authorities have vehemently denied the crown prince was involved in the murder, although Riyadh has admitted he was killed at the Istanbul consulate. In Algeria, his planned visit has sparked an outcry from journalists, politicians and intellectuals. Secretary General of the leftist Workers' Party Louisa Hanoun called Prince Mohammed's visit a "provocation". "He is responsible for the death of a large number of children and civilians in Yemen, the jailing of many Saudi citizens who did not commit a crime, and lastly, the crime against Jamal Khashoggi," he said. In a statement obtained by AFP, 17 prominent journalists and intellectuals sharply criticised the Saudi leader. "The world is certain that he ordered a terrible crime against the journalist Jamal Khashoggi," they wrote. Among the signatories were writer and journalist Kamel Daoud and prominent novelist Rachid Boudjedra. Prince Mohammed has in recent days travelled to the United Arab Emirates, Bahrain, Egypt and Tunisia, before heading to Buenos Aires on Wednesday for the G20 summit. His visit to Tunis was greeted by demonstrations against Khashoggi's murder and the war in Yemen.